Listen To The BBC Radio Drama Version Of Isaac Asimov’s FOUNDATION Trilogy | Birth.Movies.Death. One of the greatest works of science fiction done in delightfully cheesy style. 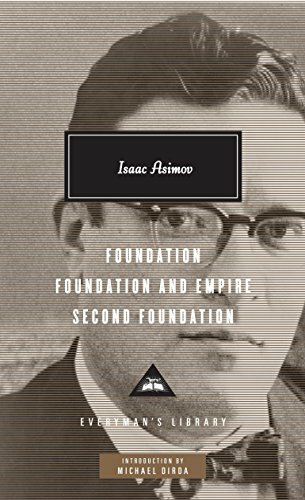 I love Isaac Asimov's Foundation trilogy. And I love weird BBC radio from the 70s - tinny, quiet, with wonderfully chintzy sound effects. Bring these two together and you have this exhaustive adaptation. FIrst aired in 1973, it's now available for free at the Internet Archive. Stream it below, or click here to get the individual MP3s. This sort of lengthy, talky adaptation is the only way that Asimov's millenia-spanning work makes any sense. A movie certainly seems too constrictive for the sprawl of this tale - and that's to say nothing of a movie by Roland Emmerich. Foundation isn't spectacle, it's something deeper. And the BBC in the 70s really knew how to get at that. In a quiet way. Warning: it's pretty soothing and could make you fall asleep at work.